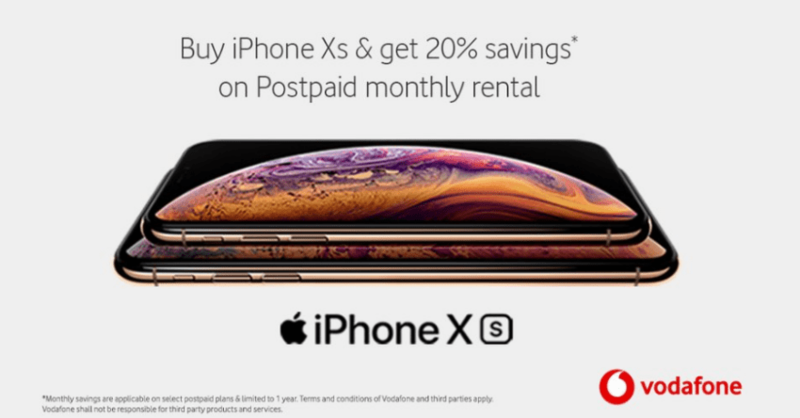 Vodafone India is aiming to increase its postpaid user base by offering 20% discount to users who purchase the Apple iPhone XS and XS Max through its website. Same as Bharti Airtel, Vodafone is also selling the new iPhones on its website (in partnership with Servifiy). A customer will receive get a 20% rental discount on RED/RED4Business postpaid plans priced above Rs 499 for 12 billing cycles. 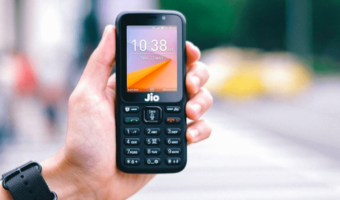 Furthermore, the telco is also offering 48-hour delivery service in eight Indian cities- Mumbai, Delhi, Bengaluru, Chennai, Hyderabad, Pune, Ahmedabad and Chandigarh. Do make a note that the purchase through Vodafone’s website is handled by Servify. Firstly, to be eligible for the offer, a subscriber should purchase the all-new iPhone XS and XS Max smartphone from the Vodafone partner portal during the offering period. 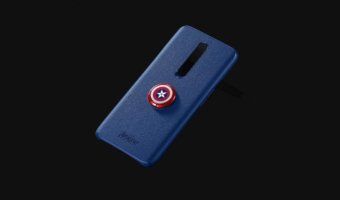 In addition, the customer should insert the Vodafone SIM card inside the handset, and he/she should be on a RED postpaid plan priced above Rs 399. If a customer falls under the above-mentioned terms, then Vodafone will offer a 20% rental discount on RED 499 or above plans for 12 straight bills. A customer will also be eligible for the discount of the next bill cycle falling on or after 15 days from the date of purchase. Do make a note that Vodafone has the right to drop the offer if the customer requests for an account migration; for example, postpaid to prepaid, national MNP, postpaid account deactivation and plan downgrade to RED 399 or RED 299. Also, the offer benefit is applicable for a 12-bill cycle period only. 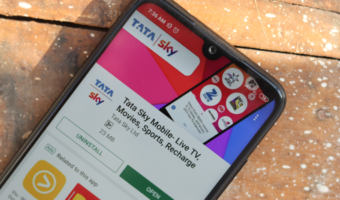 This offer will be useful for users on plans priced above Rs 999 because Vodafone is already offering free Netflix and Amazon Prime subscription, and if they want to purchase the new iPhones, they can make full use of this offer and avail a discount of 20%, which makes the postpaid plan even more affordable. Vodafone-Apple iPhone XS, XS Max Offer: How to Activate? Now, this is a nice question. Any customer who has bought the iPhone XS or XS Max through Servify portal and inserts a Vodafone SIM for the first time, they will get an activation message within the first 30 days of SIM insertion. The activation message will read as follows: “Congratulations! Exclusive offer on your new iPhone. Get a 20% rental discount on your bill for the next 12 bill cycles, for RED 499 & above.” A customer will receive the activation message only if they fall into the offer category. Another thing worth noting is the eligible subscriber has to have RED rental plans already, prior to the purchase of the device. For the unaware, the Apple iPhone XS is priced at Rs 99,990 in India for the 64GB variant which makes it the pricier iPhone Apple has launched till date. Both the iPhone XS and iPhone XS Max were launched last month in India and in several other countries too. Also, for the first time, Apple introduced dual-SIM iPhones with eSIM technology, allowing users to make use of two networks at the same time. Notably, Airtel Online Store is also selling the new iPhones, but the telco is yet to come up with a bundled postpaid scheme.